The Hillsborough County Courthouse is located at 800 East Twiggs Street, Tampa FL 33602; phone 813-276-8100. 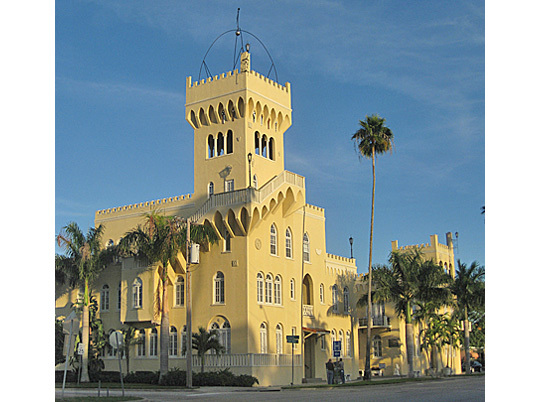 Photo: A 28-unit, 1925 Mediterranean Revival apartment building on Davis Islands in Tampa, Florida. Inspired by the Palazzo Vecchio in Florence, Italy, the Palace of Florence Apartments are is part of the Davis Islands MPS, listed on the National Register of Historic Places in 1989; photographed by username:TampAGS, 2009 (own work) [CC-BY-3.0 (http://creativecommons.org/licenses/by/3.0)], via Wikimedia Commons. Hillsborough was organized as Florida's 19th county. It was incorporated in 1834 from parts of Alachua and Monroe Counties. The county is named for England's Lord Hillsborough who was the British Colonial Secretary ca. 1772.